India is winning the race of producing the world’s cheapest products. First the Indian company Tata made the world’s cheapest car which cost only US$2000 and now they are striking again with the world’s cheapest laptop. This is the progress in their “One Laptop Per Child” program by the Indian education minister. Currently the cost of the “Sakshat” laptop is US$20 only but the Education Minister R.P Agarwal said that they will bring down the price by half within the next year. The “Sakshat” laptop will be equiped with 2GB diskspace and a wireless wifi connection. The laptop will be on testing phase for six-months time and then will be finally made public. The laptop was designed by scientists at the Vellore Institute of Technology, the Indian Institute of Science in Bangalore, the Indian Institute of Technology in Madras and the state-controlled Semiconductor Complex. The price of this laptop will be $10.6 (Indian Rs. 500) only. 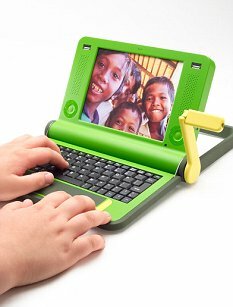 India previously rejected the offer from the US company which was ready to co-operate with the “One Laptop Per Child” program and was offering the laptop for US$185. Ok the most shocking part is that India’s own production companies are wondering that it is not even possible to make a laptop screen only in $20 so how would the laptop be for $10.5 only. This news has shock the computer manufacturing companies world-wide.